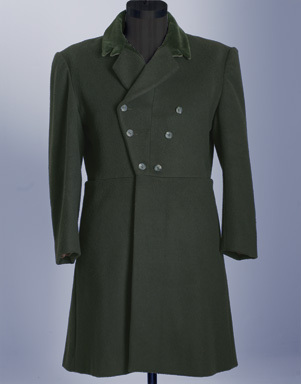 Following the fashion lines of the 1850s, our frock coat is double breasted with either a shawl collar, notched collar or “M” (claw hammer) collar. The sleeves are cut full at the sleeve cap and narrow at the wrist. 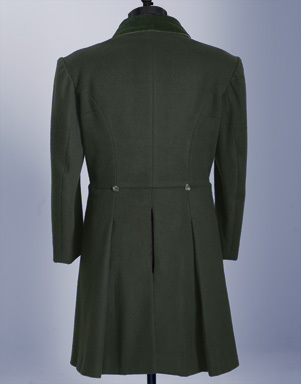 The Frock- coat has an outside breast pocket, two outside pockets set in the waist seam, two inside breast pockets, and two pockets in the tails. We will gladly make long, short, and portly sizes if needed.